Osakako Station (大阪港駅 Ōsakakō-eki?, Station number: is a train station on the Osaka Municipal Subway Chūō Line in Minato-ku, Osaka, Japan. It is the stop that services the Osaka Aquarium Kaiyukan. 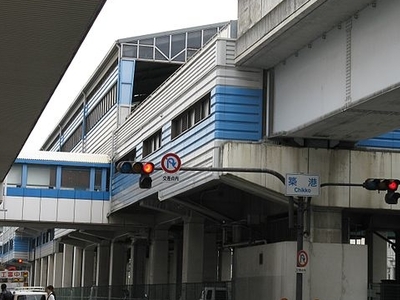 Here's the our members favorite photos of "Railway Stations in Minato-ku". Upload your photo of Ōsakakō Station!